1. 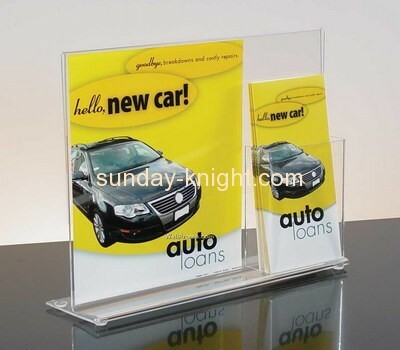 Clear acrylic poster holder. 2. It can easy adverstising your products. 3. We have advantages and experience for some years in this kind of holder. 4. Model,color,size can be changed according to your requirements. 5. Modern design, good for you promotional your favorate goods. 6. Suitable for stores, supermarket, hotels ,restaurants ,bars , so on. 7. Fine workmanship ,excellent and refined design. 8. The delivery period is punctual and promised. 9. The design is fashion and eye-catching. 10. Environment friendly materials used. 11. High quality at a reasonable price.